PT Timah Industri - Timah Industri is a well established company in Indonesia that is involved in chemical industry. Timah Industri concentrates its business activities in the tin based tin chemical industry. Its main product is tin solder and tin chemical. 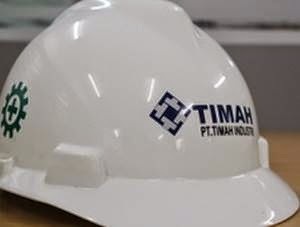 Established in 1998, PT Timah Industry is a directly-owned subsidiary company of state-owned tin mining giant PT TIMAH (Persero) Tbk or TIMAH Group. As of December 2016, Timah Industry is 99.9% owned by TIMAH Group. Based in Cilegon Banten, Timah Industri has its production facilities in Krakatau Industrial Eastate Cilegon Banten with designed capacity to reach 10,000 MT per year. In the business year of 2015, Timah Industry was able to achieve a better performance compared to 2014. According to PT TIMAH (Persero) Tbk Annual Report 2015 as cited by JobsCDC.com, Timah Industri booked a net profit of Rp3,085 million in 2015, up 118% from the previous year. Timah Industri booked net loss of Rp17,211 million in 2014. Minimum requirement of Associate Degree (D3) in Automation of Instrumentation Systems (OSI), Electronics Instrumentation. Indonesian Citizen (WNI), minimum age 23 years and maximum age of 28 years old on 1 January 2017. Have a diploma issued by an accredited college (PTN/PTS) at least B. The candidate with prior experience and expertise in the field of Industrial instrumentation, PLC Panel, Temperature Transmitter, Control valve, system automation is preferred. JobsCDC.com now available on android device. Download now on Google Play here. Please be aware of recruitment fraud. The entire stage of this selection process is free of charge. PT Timah Industri - Recruitment D3 Maintenance Staff TIMAH Group August 2017 will never ask for fees or upfront payments for any purposes during the recruitment process such as transportation and accommodation.